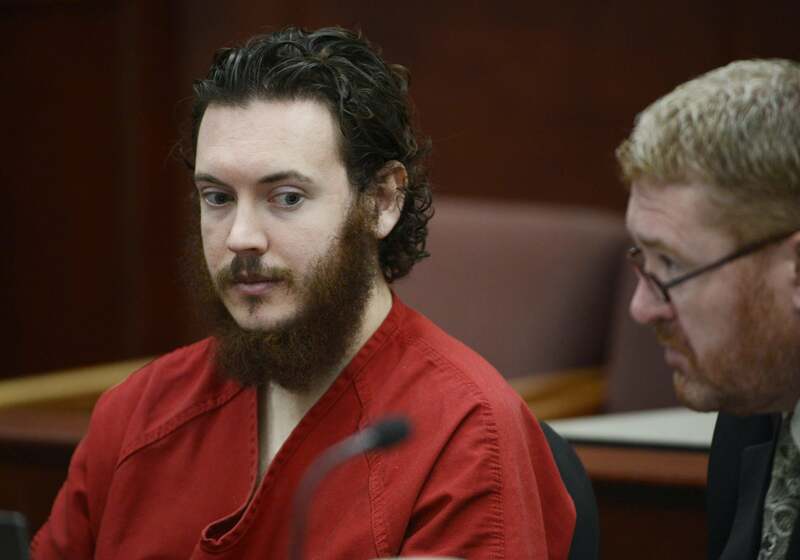 James Holmes trial begins: Opening statements in Colorado courthouse. James Holmes and a defense attorney at a 2013 hearing in Centennial, Colorado. Opening statements are scheduled for Monday in the Denver-area trial of Aurora, Colorado, mass shooter James Holmes, whose defense attorneys admit that he killed 12 people and injured 70 more at a movie theater in July 2012 but argue that he should be found not guilty by reason of insanity. Holmes faces 166 criminal counts related to the attack and could be sentenced to death; his 2013 offer to plead guilty in exchange for a sentence of life in prison was rejected by prosecutors. • What did Holmes say to multiple doctors who have examined his mental health since the shooting, and what did the doctors decide about his sanity? • What did University of Colorado officials know about Holmes before the attack, and what could they have done to prevent it? • What did Holmes write in a notebook that he mailed to his former psychiatrist at CU the day before the shooting? The courthouse where Holmes is being tried is in Centennial, Colorado, not far from the site of the 1999 Columbine High School massacre; at least two individuals called as potential jurors in the Holmes case had personal connections to the Columbine killings. The trial is expected to last several months.